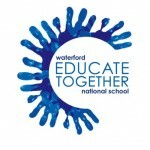 Healthy Lunch Policy | Waterford Educate Together N.S. Please note that due to serious nut allergies in the school, no products containing nuts/nut products may be included in your child’s lunchbox. Please check all labels carefully. Thank you. Lunches should be chosen from the recommended list of foods only. No chewing gum, sweets, crisps or fizzy drinks are allowed in school. We ask parents and pupils to co-operate. Parents are asked to check their child’s lunchbox to see what food they are eating and if necessary adjust the contents within the parameters of the school healthy lunch policy.